Is the foundation of your home cracking or making your house unlevel? You should consider doing foundation repair today to fix it. Watch this video to find out how MitchCo Foundation Repair can provide you with the pier and beam foundation repair you need. 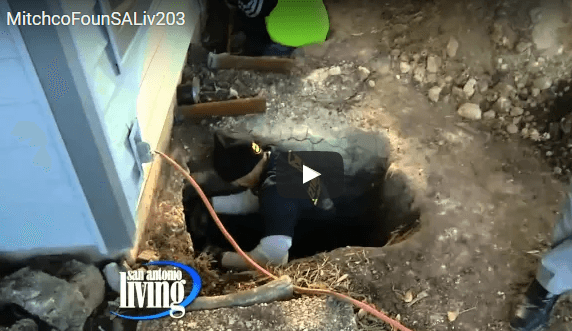 One of the things that makes us different from other San Antonio foundation repair companies is that after a contractor from our company repairs your foundation, we will continue to come out to your home on an annual basis to inspect it to make sure it’s still strong. We will take a look at the work we did on your foundation and answer any questions you might have about your home’s foundation when we visit you. By allowing us to inspect your foundation once a year, you will ensure that small problems don’t turn into big ones over time.